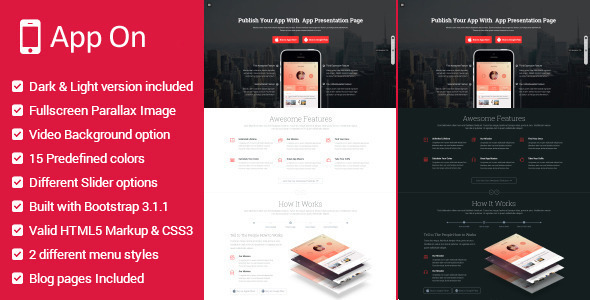 APP ON – Responsive HTML5 / CSS3 Landing Page Template ” it based on Bootstrap 3.1.1 and jquery 1.11.0 framework. Note that all images used in the demo are not distributed with the theme. They are all credited to their respective creator/owner. 5 average based on 11 ratings.